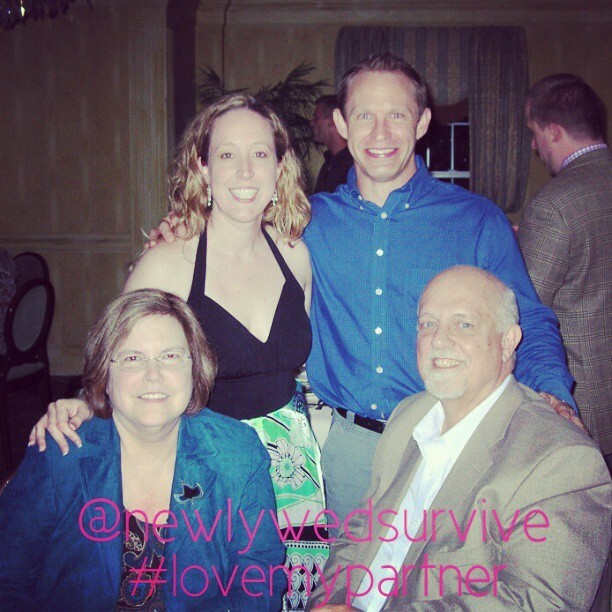 Well, the first week of my newly created #lovemypartner photo-a-day challenge is coming to an end. I am so happy with how it is going so far! I have met some great people and seen some awesome photos. To top it off, I am having a ball coming up with photos for each day and my husband is even getting involved. 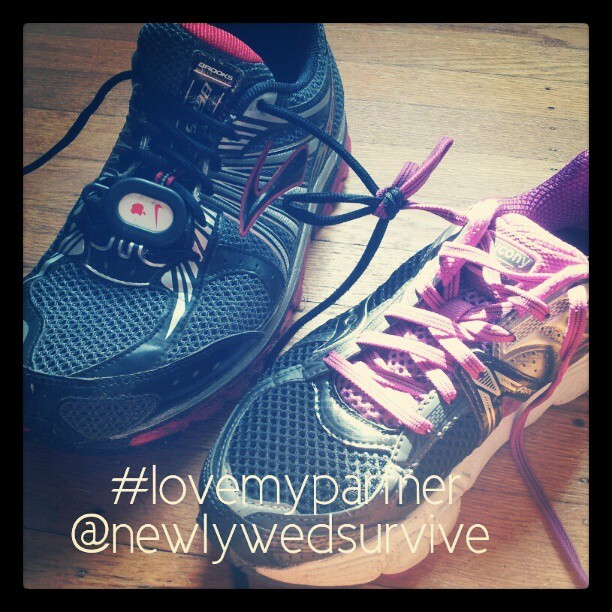 It is turning out to be a really fun activity for the two of us to do together! The word for today was ’embrace’. 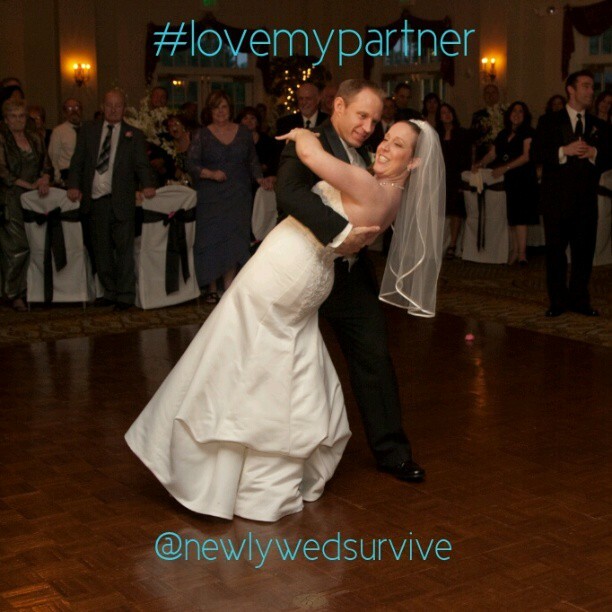 Here is my husband and I during our first dance at our wedding! The word for today is ‘match’. We couldn’t decide if we wanted to match our clothing, or hold matches, so we did both! The word for today is ‘radiant’. Everyone always says that the bride looks radiant, I think my groom looked radiant! The word for today is ‘smile’. 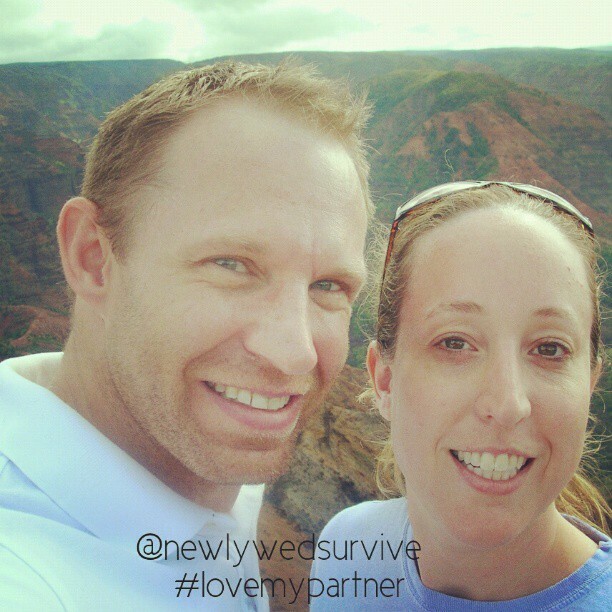 We were all smiles here… we were on our honeymoon overlooking Waimea Canyon in Kauai. The word for today is ‘support’. My parents have supported me my whole life. 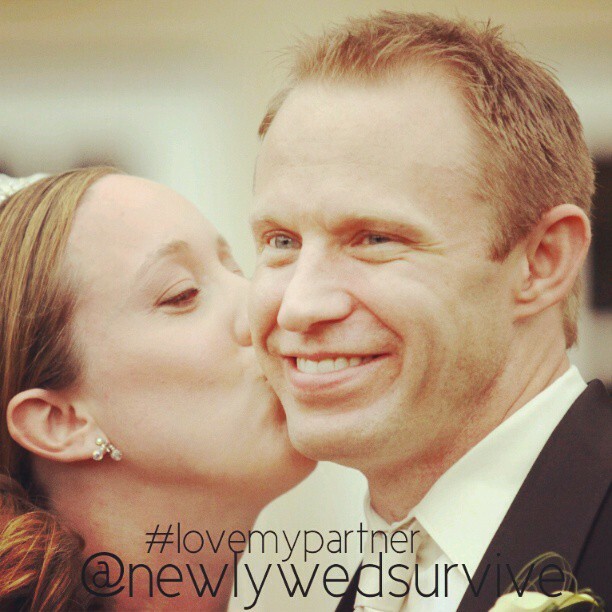 My husband has supported me in all of my choices every day that we have been together. I am a lucky woman! What cute photos! 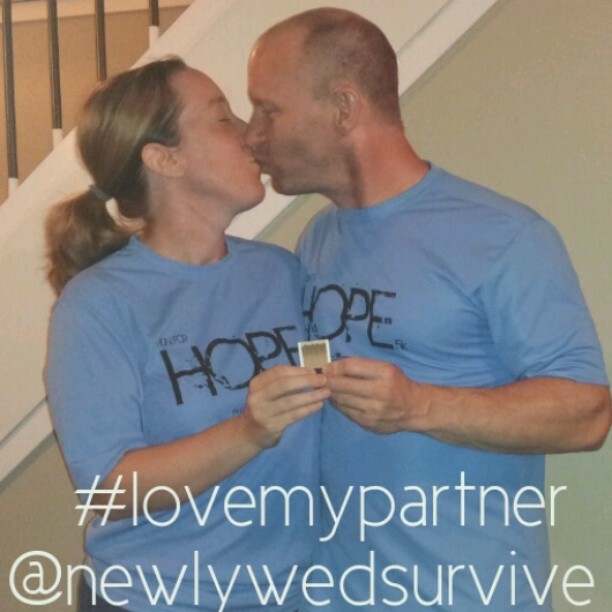 Love seeing you guys so happy!